1Does Authorized Access have retail premises where I can buy over the counter? Yes, our fully trained and experienced Security Specialists will be happy to advise you and demonstrate products in our Security Showroom. 2Can you open / repair / fix locks? Yes is the simple answer however we will suggest the most cost effective solution to your problem. 3What guarantee do I get? All parts are guaranteed for 12 months from the date of supply/fitting. We accept cash, online payments or credit cards. 5I’ve locked myself out of my house and my keys are inside, can you help? Our locksmith is able to get through the majority of doors with minimal to no damage at all and enable you to continue to use your existing keys. We have an extremely large range of keys that we can cut, from standard mortise keys to restricted keys, if we can’t cut the key because of its restrictions we can normally obtain the keys for you. The only keys we don’t cut are for vehicles. 7Can I get all my locks working off one key? 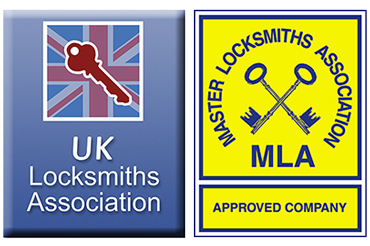 In most cases yes, majority of UPVC and composite doors have Euro cylinders that operate the mechanism that locks your door, for wooden doors we can change the locks to accept a Euro cylinder at an additional cost, we can even key alike all mortise locks if required. 8Do you sell padlocks that work off one key? Yes, we have various padlocks available from a basic 20mm brass padlock to a high security padlock that can all be keyed alike or even Master keyed. 9Do you cut locker or filing cabinet keys? Yes we can – even without the key, in most cases we can cut the key from the unique number stamped on the face of the lock.